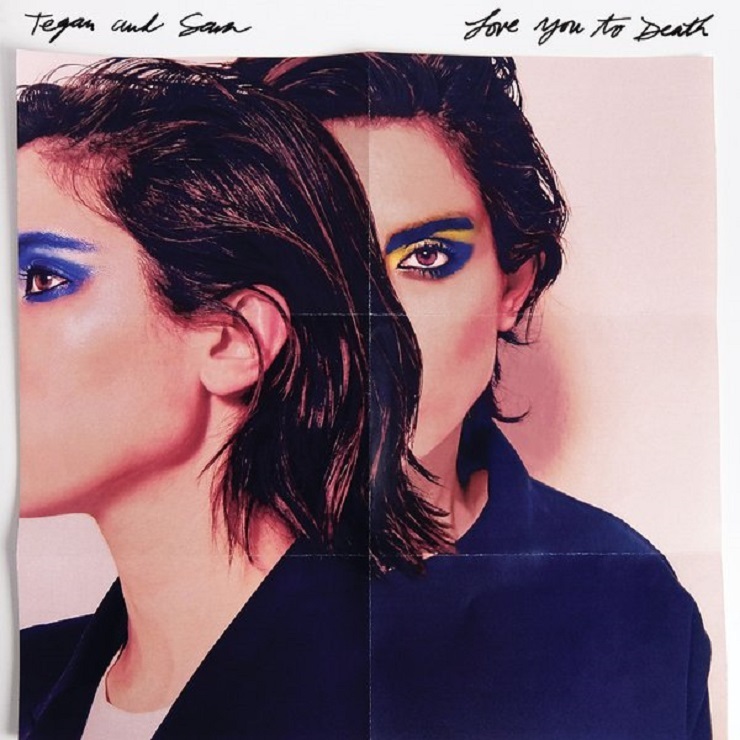 After having announced last year that they'd wrapped the recording sessions behind their eighth full-length release, Tegan and Sara have now confirmed the album arrives this spring. Titled Love You to Death, the next record from the pop world's favourite Canadian sister duo arrives June 3. The twins announced the due date today (March 10) through their Facebook page. There, they added that the album cover will be revealed tomorrow (March 11), while the first piece of music from Love You to Death arrives on April 8. UPDATE (3/11 4:15 p.m.): The cover art to Love You to Death has now been revealed, and you can see it up above. A post from the group also adds that Greg Kurstin (Adele) produced the new LP. Though the details have yet to drop in full, Tegan and Sara teased the release over a series of Instagram posts. If you head to their profile, you'll see posts that include a scoreboard for a tennis match between Serena and Venus Williams, a sheep, a Canadian two-dollar coin, and the Death Star from Star Wars. Piecing these together, you'll come up with the album title, Love You to Death. Up above, you'll find an assembled image of nine separate Instagram posts, which sure looks a lot like a folded-up piece of album art. Whether or not the eyeliner-heavy photo of the sisters is the album cover will apparently be revealed tomorrow. Love You to Death is the follow-up to 2013's Heartthrob, though Tegan and Sara worked on The Lego Movie in 2014.